1.The package includes 44 pcs driver bits that fit most of your daily needs; ideal for house furnishing, mounting framed photos to the wall, hanging curtain rods, fixing electronics and more. 2.There is a front LED light allowing you to work even in a dark condition; you can also check the battery level via the battery power indicator on the top at any time. 3.It features a 600mAh lithium-ion battery to make it able to keep working for 1 hour when it’s fully charged; easy recharge by simply connecting to any power source. 4.With multi-grip mode, it is more convenient to operate.Rotating handle and screwing at various angles. 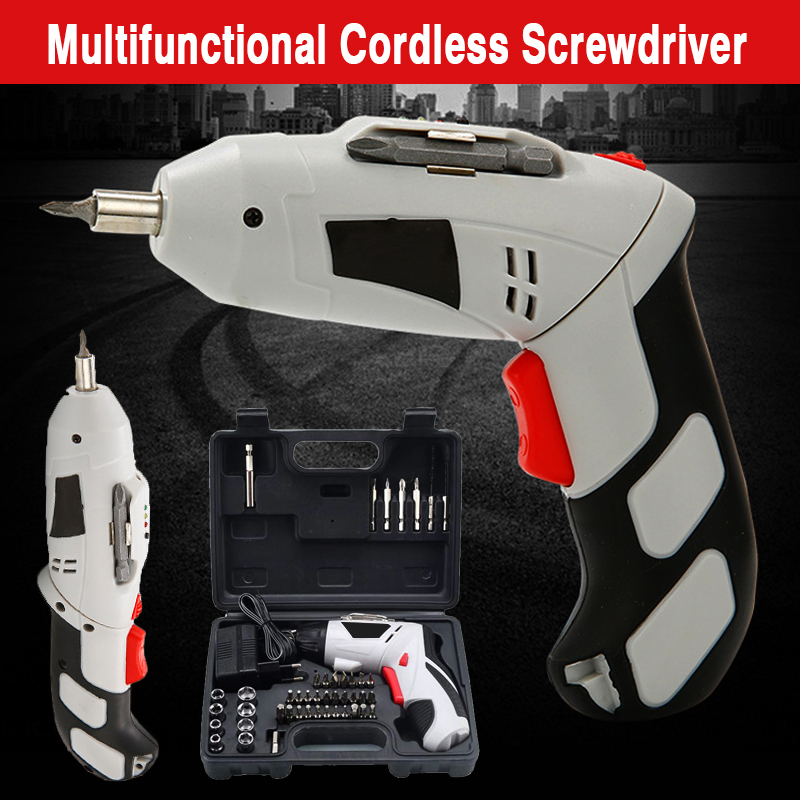 5.This cordless screwdriver is designed with an ergonomic concept to provide you an excellent grip feeling for a better operating experience. 6.Precision batch suit, with special high temperature treatment, surface plating white anti-rust treatment.